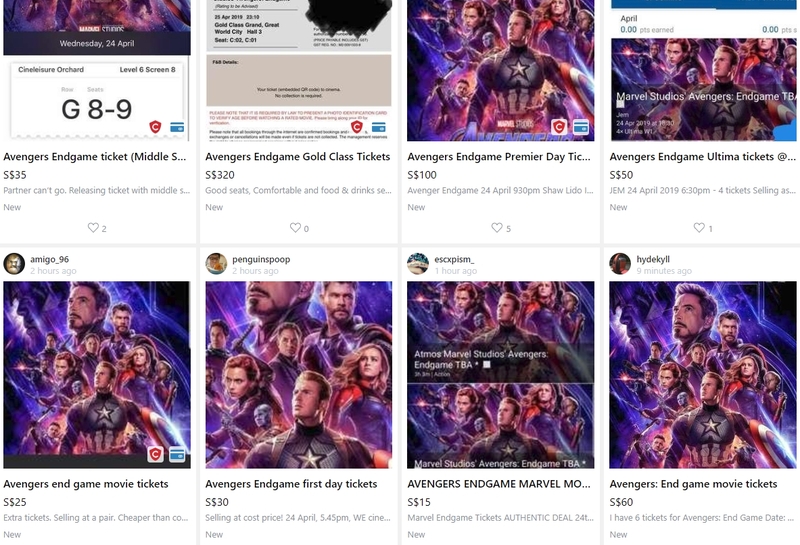 Scalpers are already selling tickets for the much-anticipated movie, Avengers: Endgame on the same day tickets went on sale. Local cinema chains started selling tickets to the movie on Wednesday morning (Apr 10) and were met with high demand. Many fans found themselves waiting more than an hour to access the site to purchase tickets. It's not Endgame anymore, it's the waiting game now! This is probably why several lucky buyers thought they could make a quick buck by selling their tickets for a profit on online marketplace Carousell. Stomper Marcus alerted Stomp to listings on Carousell ranging from a relatively reasonable $15 to hundreds of dollars. 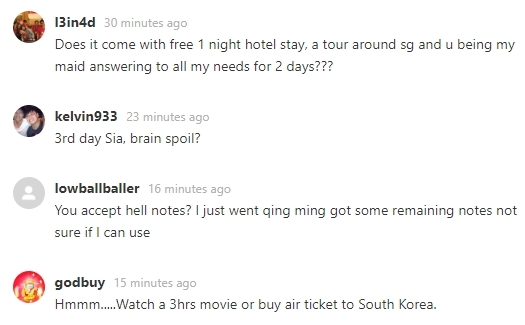 Netizens are flabbergasted by how much they are going for. "Scalpers are reselling Avengers: Endgame tickets at unreasonable prices," said Marcus. "It's a movie, not like it's a one-day screening only." 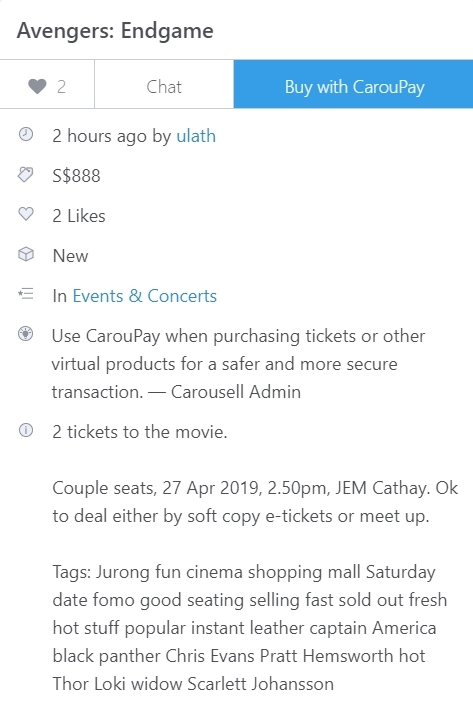 Stomp found one user selling a pair of couple seats to the movie that will be screened on Apr 27 at JEM's Cathay cinema for a whopping $888. Netizens commented that the tickets were not even for the movie's premier day (Apr 24) and that the price could get them return air tickets to South Korea. Are people that desperate to avoid spoilers that they would fork out so much to be among the first to watch the movie?